Business rates are a massive hindrance to small businesses. Osborne says a comprehensive transport strategy will be funded for the north. A new city deal will be struck with the combined West Yorkshire authority. And Greater Manchester will be able to keep 100% of the extra revenue from increased business rates as it grows. The same deal will be offered to Cambridge, he says. And he is open to the same offer for other areas. He says measures are being introduced to improve transport in the south. Wales will get more power, and work is underway on a Cardiff city deal. He will back the Swansea tidal power proposal. And cuts to tolls on the Severn Bridge will be introduced from 2018. 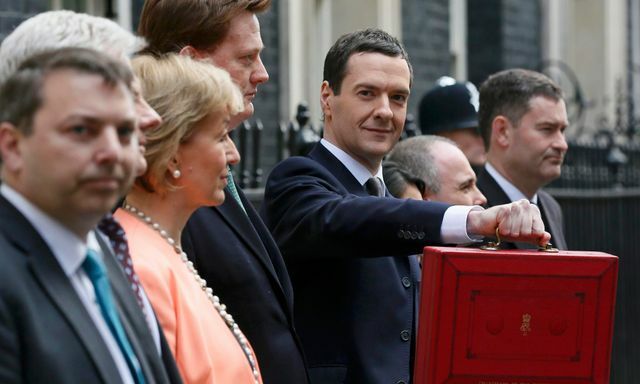 #Budget2015 Manchester to keep 100% of business rates as Chancellor vows to build the "Northern powerhouse"